Here at Guesthouse de Heide, if you are looking for a good location to enjoy a weekend with family or friends then you have come to the right place. This unique group accommodation consists of a main building with a penthouse and 3 separate lodges, so everyone can have plenty of privacy. The three lodges (1 for 8 people and 2 for 2-3 people) are wooden buildings with their own bedrooms and bathroom. With its alcove bunk beds, the 8-person lodge in particular is a real treat for kids. The unique ambience radiates a feeling of luxury. When you rent the accommodation you also get unlimited use of two saunas and two jacuzzis. You also have a billiards room, a covered veranda with an outdoor kitchen and bar, and a very lavish garden complete with various terraces as well as an outdoor fireplace. There is also an area with various animals, a small playground and much more to discover. The area around Oeffelt is good for hiking and cycling. There is a bike path that begins and ends at the Guesthouse. Children will enjoy a visit to one of the various parks in the area, such as Liberty Park or the Zoo Park, both in Overloon. 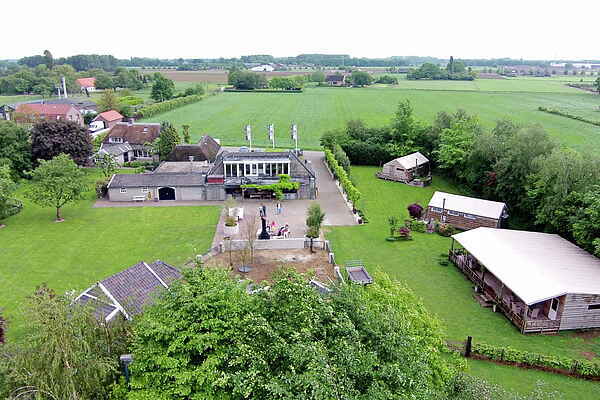 Another nice daytrip is the Castle Museum in Boxmeer or Toverland amusement park in Sevenum.